On Tuesday 15th November Toffs played in a sunny but blustery day and the results were Cat 1 1st Robin Richards 38 2nd John Barraclough 34 3rd Bill Martin 34c/b Cat 2 Gary Grierson 36 2nd Clive Peck 35 3rd Ian Turner 33 Cat 3 1st John Cross 34 2nd Gordon Bourne 33 3rd Bob Shorley 32 Cat 4 1st Chris Stanley 32 2nd Eamonn Divine 30 c/b 3rd Lauraine Walker 30 NTPs 5th Morag Turner 11th Colin Willis 12th in 2 Fred Reeve 15th Ian Turner 17th Arty Crammon Best front 9 Ian Pegg 20 Best back 9 Arty Crammon 19 CBA -.0 Football draw Eamonn Divine Pete Gartside Phyllis Venables John Kirkwood and Chris Stanley. We started the week with a 6x6x6 with one score counting on the first 6 holes, two on the second 6 and three on the final 6 holes. 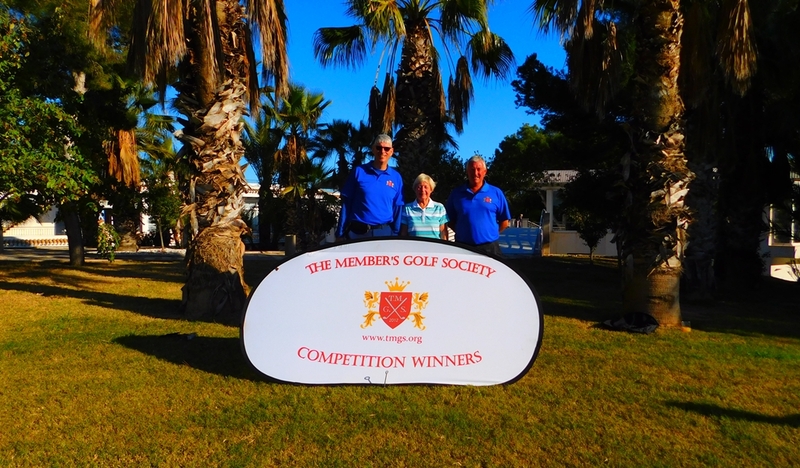 The winners with 82 pts were Bryan Neal, Benedicte Kruse, Yvonne Phipps and Peter Radcliffe. This Thursday we held our Annual Presentation Lunch at The Las Ramblas Restaurant where we were again provided with an excellent lunch by the restaurant staff. The photograph above shows this years competition winners and a full list is provided below. It would be remiss of me not to thank our hard working Committee whose efforts often go unnoticed – Doug Wright (President), Lindsay Forbes (Comp Sec), Bryan Neal (Handicap Sec), Joyce McClusky (Treasurer) and of course our hard working Secretary Dee Biggerstaff. On Friday we played a Waltzer (1-2-3) which was won with a very good score of 85 pts by the team of Bryan Neal, Brian Staines, Jan Svendsen and Benedicte Kruse. In second with 83 pts were Mike Chapman, Brian Dent, Brian Townend and John Shervell. Nearly forty of us took on what for many members was a near 2 hour round trip to sample the delights of a course that has always been on our circuit but less so over the past few years. The recent new owners tempted us with a very attractive deal which included the use of their new buggy fleet. 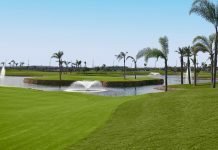 Altorreal sits on the far side of Murcia and has always been, like so many other courses, a little tricky to find, so the intensive heavy road works in the vicinity added a little to the difficulty. Once at our destination it became evident that the new owners were using a little more than a “new broom” on their acquisition with improvement work underway in several places. Top score of the day was a mere 34 with the vast majority not even reaching the 30’s which emphasizes the tough conditions, but the weather certainly couldn’t be blamed as it was a warm, sunny November day. The “curse of our courses” in this part of the world is crowned holes and here was no exception, each one needed a good thump with a huge, flat shovel – as did the guy who cut them without using a board to keep the surrounding ground level. 3 shots to get on the green followed by 3 putts was a common complaint. As if this game isn’t tough enough, many of the fairways have been reduced in width by allowing the “first cut” to encroach in strategic places…..that’s fair enough to add a subtle degree of difficulty but you don’t have to set the mowers to just a millimetre or two deeper than a golf ball. On many an occasion a good drive could be severely punished if it rolled off the fairway into the first cut never to be seen again, unless you were lucky enough to spot it from directly above! 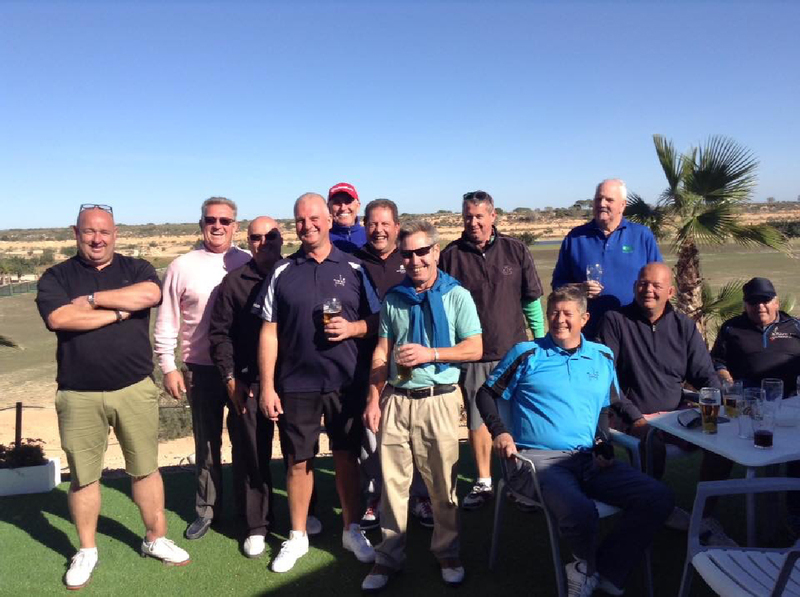 Anyway, it was a very enjoyable day and before we get branded as the VMGS (Victor Meldrew Golf Society) I must say what lovely beer is served in the clubhouse….lovely, but a bit expensive!! 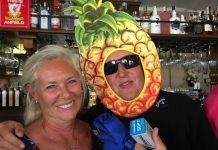 Best guest was Gary Garbett with a respectable 31 and “Nearest the Pins” on the par 3’s went to Norman Cahill, Steve Fleet, Steve Higgins and Eva Pettersson. The prize-winners in the bronze category were: 5th– Norman McBride 26, 4th– Keith Stevenson 26 (C/B), 3rd– Kyrre Skarsmoen 27, 2nd– Chris Hamblett 30, 1st Brian Mulligan 34. The prize-winners in the silver category were: 5th– Norman Cahill 30, 4th-Keith Wickham 32, 3rd – Phil de Lacy 33, 2nd – Hugh Reilly 34, 1st – Ken Flaherty 34 (C/B). 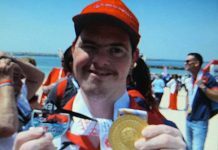 The prize-winners in the gold category were: 5th– Tony Smale 29, 4th – John Osborne 29 (C/B), 3rd – Theo Boelhouwer 30, 2nd – Eva Pettersson 31, 1st – John Aitchinson 32. Our thanks go to the staff at Altoreal golf course for their contribution to the day. 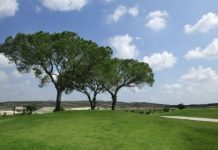 Keep up to date with all SMGS matters by logging on to our website www.smgs.org or simply give Barry Roehrig a call on 966 731 033 to find out more about the society and its weekly golf get-togethers. Next week we will be at La Finca. 36 members and guests arrived at Villamartin to what can only be described as perfect weather for a days’ golf. The course was I good condition with the greens being particularly tricky, one member even admitted to taking 6 putts on the 17th and she still managed 33 points to win the Bronze category. So a last minute change of golf course saw our players play at New Sierra Golf course. 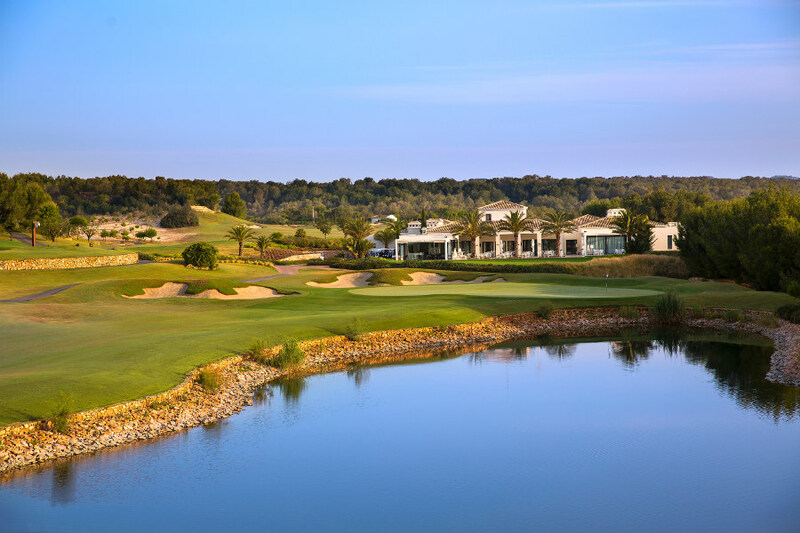 On a very windy day, no players took the opportunity of a 2, so the 2s is a roll over for our next event at Villamartin. 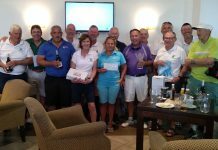 With just 2 nearest the pins this week being sponsored by The Alehouse, Hole 6 and hole 12 were won by Kevin Rose, taking 25€ of bar vouchers. Simon Nutz was very happy to collect his prize of wine for coming last, with 17 points. 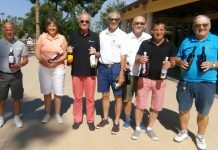 In third place with his handicap of 13, saw Kevin Rose score a great 31 points collecting 25€, Kevin Adamson with his handicap of 16, coming second on countback also with an impressive 31 points collected 40€ and our winner saw Nick Peach coming in with an amazing 32 points with his handicap of 23, collecting 50€. 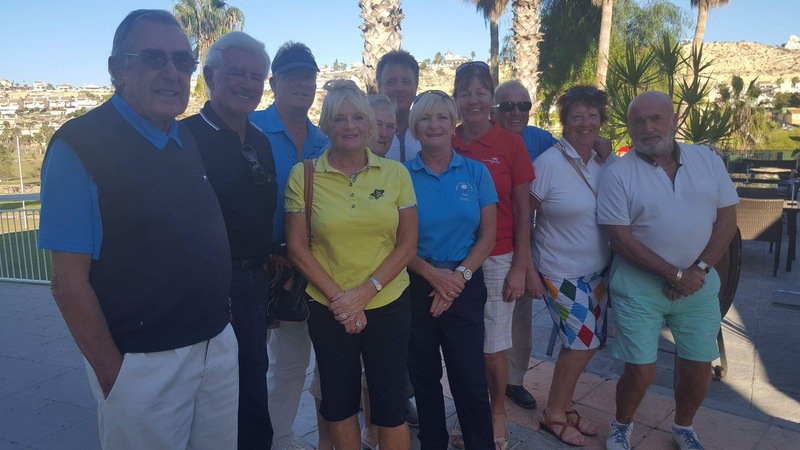 Great day had by all and our next event is Friday 25th at Villamartin 8:04 Tee off, numbers are limited so if you wish to play please add your name ASAP. Contact us by email on Theplazagolfsociety@gmail.com or via Facebook, the plaza golf society or pop into the Alehouse. to an individual ‘Joker’ competition on the 15th November. 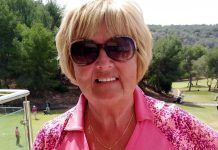 Nearest the pins : Hole 5 – Lyn Young, Hole 9 – Keith Smith. 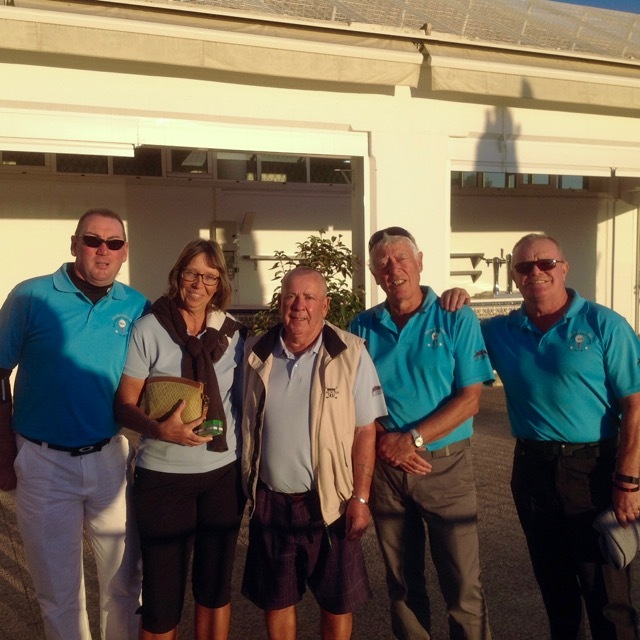 3rd Place – Handicap 12, John, a guest – 38 Points. 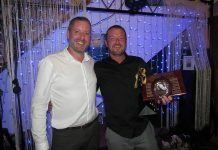 2nd Place – Handicap 5, Ian Craig – 39 Points. 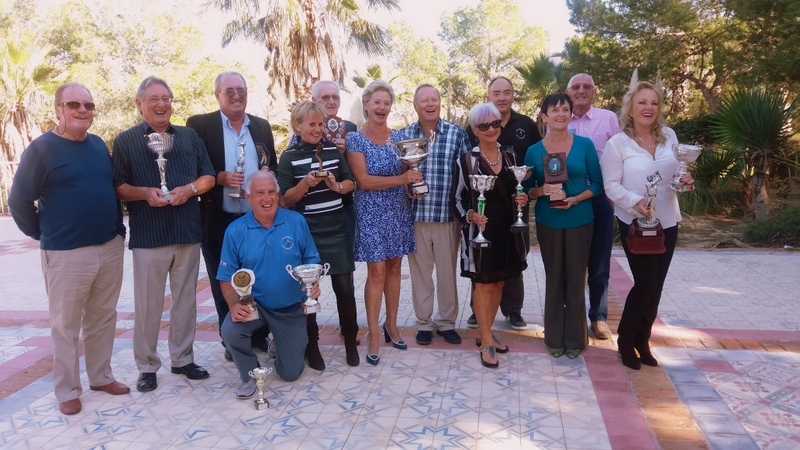 1st Place – Handicap 12, Claude de Wamme – 44Points.